When Glaswegian songwriter Chris Duncan released his debut LP Architect last year, it felt majestically unrushed. The spacious arrangements and multi-faceted melodies soaked up the spirit of Brian Wilson and speckled it across each of the record's dream pop masterpieces. It was a gorgeous slow burning gem. 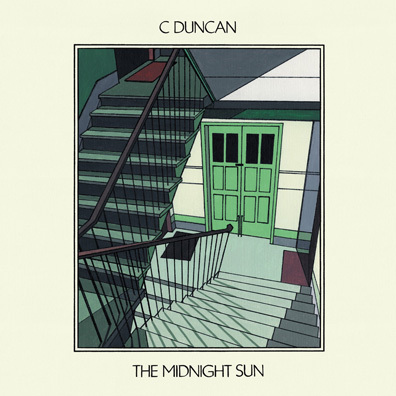 Just over a year later, the release of The Midnight Sun suggests Duncan is a man in rather more of a hurry than Architect had us believe. That's not to say there's anything slapdash about these 11 cuts—far from it—but there's an unavoidable sense that a little time may have helped to hone these tracks into something rather special. But let's not do Duncan's vision a disservice. Here he attempts a subtle shift in direction by taking songs like "Like You Do" and "On Course" down a more electronic route, creating rich tapestries of stargazing synthesizers upon which he layers his puritanical harmonies. Sonically, the record is as lush and immersive as its predecessor. Yet it's an approach Duncan falls back on a little too often; from the opening choral drift of "Nothing More" through to melancholic swansong "Window." Each track is a pretty, almost perfect, aural snapshot that captures the freedom of airlessness, but it's impossible to shake the feeling you're hearing subtle variations of the same song.